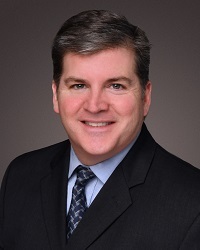 Dr. Durkin treats orthopaedic traumas such as fractures, strains, sprains and contusions. He takes Trauma call at Good Samaritan and performs emergency orthopaedic surgery. Some orthopaedic traumas require surgical intervention such as rodding, hemiarthroplasty or open reduction and internal fixation. Other fractures are treated by casting or bracing. In addition, Hinsdale Orthopaedics and Dr. Durkin's Practice offer a complete line of durable medical equipment (DME) services. Braces, splints, and equipment such as CAM walker boots are often excellent options for treating various orthopaedic conditions such as fractures, sprains and strains. We offer braces to support injured ligaments of the knee or ankle to help patients return safely to sports or work sooner. We often use lightweight splints and walker boots to support sprains or fractures, while helping patients regain function. Our DME Manager, Mike Barnish, works closely with Dr. Durkin and his staff to ensure our patients have the correct equipment, per Dr. Durkin's prescription, and that it is fitted properly, and performs well. We are available for equipment adjustment, and to answer patient questions as the treatment and healing process progresses. Our durable medical equipment is covered by manufacturer's warranties. Durable medical equipment is covered by most major insurance plans. Some HMO insurances do require patients to go off site for specialty braces.